Carl Strüwe (1898-1988) was a graphic designer and photographer based in Bielefeld (West Germany), known as the father of microphotography as art. From 1913 to 1917 Carl Strüwe did a lithography apprenticeship at the E. Gundlach AG, a publishing company based in Bielefeld. After coming back from World War I, he became a graphic designer for the same company, E. Gundlach AG, and worked there until his retirement in 1963. From 1919 to 1923 Carl Struewe studied drawing, painting and writing thanks to evening and Sunday classes at the Handwerker- und Kunstgewerbeschule (School of Arts and Crafts) in Bielefeld, with professors Ludwig Godewols, Karl Muggly and Fritz Eich. The only interruption in his carrier as graphic designer was while being a soldier in the German army in 1939-1940. From 1924 Strüwe turned to teaching himself photography. He first made travel images about the traces of the Hohenstaufen, a Middle-Age German dynasty of kings, in Italy. He made his first microphotograph called White Suspended over Grey in 1926. This is the beginning of his artistic masterpiece: Formen des Mikrokosmos (The Microcosm. Forms of Nature), 280 microphotographs from which he published a 96-plate eponymous book in 1955 after having exhibited some in Germany and abroad. Strüwe carried on this project for more than 30 years. He did his last microphotograph in 1959. In 1945 bombs destroyed his studio in Bielefeld: he lost most of his archives and photographs. In the following years, he participated in numerous exhibitions and publications that made his work known in professional circles. Since his first solo show in 1947, Carl Strüwe has had 15 solo shows not only in Germany and France, but also in the United States as soon as 1949 with a solo show at the Brooklyn Museum. Carl Strüwe was part of the iconic 1951 Subjektive Fotografie exhibition curated by Otto Steinert and of The New Landscape in Art and Science organized by Gyorgy Kepes at MIT in the same year. In 1982 a retrospective on his work was shown at the Waldhof Cultural History Museum in Bielefeld. In 1986 he received the Cultural Award of his native town. Carl Strüwe died on January 7, 1988. In 2012 an exhibition Carl Strüwe in the context of Contemporary Photography shown at the Bielefelder Kunstverein pointed out the relevance of Carl Strüwe’s work for new artists like Liz Deschenes, Jan Paul Evers and Jochen Lempert. A dissertation about his life's work was published in 2011: Gottfried Jäger: Microphotography as Obsession - The Photographic Work of Carl Strüwe (1898-1988). Carl Strüwe’s photographs are held in the permanent collections of major art institutions including the Brooklyn Museum, New York; the National Gallery of Canada, Ottawa; the Stedelijk Museum, Amsterdam; the Museum Ludwig, Cologne; the Museum für Kunst und Gewerbe, Hamburg; and the Kunsthalle Bielefeld. Carl Strüwe, Formen des Mikrokosmos, Galerie f5,6, Munich, 2015. Carl Strüwe, Voyage dans le Microcosme (Carl Strüwe : Journey into Mikrokosmos), Galerie le Minotaure, Paris, 2012. Carl Strüwe, Reisen in unbekannte Welten (Carl Strüwe: Journey into Unknown Worlds), Kunsthalle Bielefeld, 2012. Carl Strüwe, Weiß über Grau schwebend, Mikrofotografien 1926–1959 (Carl Strüwe, White Over Gray Floating, Photomicrographs 1926-1959), 34th Symposium Centrum for Biotechnology, Bielefeld University, Germany, 2009. Carl Strüwe, Formen des Mikrokosmos. Mikrofotografien 1926-1956 (Carl Strüwe: Forms the Microcosm, Photomicrographs 1926-1956), Kunsthaus Lempertz, Berlin, 2004. Carl Strüwe, Mikrokosmos. Photographs 1928-1956, Galerie Johannes Faber, Wien, 2003. Carl Strüwe Retrospective: The Photographic Work, Waldhof Cultural History Museum, Bielefeld, 1982. Carl Strüwe und Manfred Kage. Mikrofotografien (Carl Strüwe and Manfred Kage. Microphotographs), Werkkunstschule Bielefeld, 1966. Carl Strüwe: Mikrofotografien (Microphotographs: Photographs of Carl Strüwe), Photoshow of VDAV (Verein Deutscher Amateurfotografen-Verein), Bielefeld, 1958.
mikrokosmos. formen der natur. fotografien von Carl Strüwe (The Microcosm. Forms of Nature), Städtisches Kunsthaus, Rudolf Oetker Halle/Municipal Art House, Bielefeld, 1956. Gestaltete Mikrofotografien (Decorative Microphotography), Photokina -Bilderschauen, Cologne, 1951. 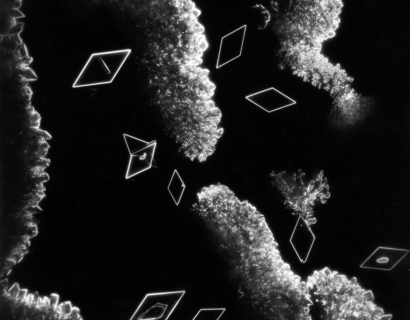 Mikroaufnahmen von Carl Strüwe, Bielefeld (Microcosmic Forms), Photo-Kino-Ausstellung, Cologne, 1950. Carl Strüwe: Microphotographs, Brooklyn Museum, Brooklyn, NY and at four other locations on the East Coast (First solo show in the United States), 1949. Carl Strüwe, Lichtbilder und Aquarelle (Carl Strüwe, Photographs and Watercolors), Städtisches Kunsthaus, Rudolf Oetker Halle/Municipal Art House, Bielefeld, 1948. Formen des Mikrokosmos, Lichtbilder von Carl Strüwe (The Microcosm. Forms of Nature. Photographs of Carl Strüwe), Gallery Hauswedell, Hamburg, Overbeck-Gesellschaft, Luebeck and Galerie Herbert Herrmann, Stuttgart (First solo show), 1947. Revelations. Experiments in Photography, Media Space Science Museum London and National Photo Museum Bradford, 2015. The Day Will Come. When We Share More Than Ever, Museum fur Kunst und Gewerbe, Hamburg, 2015. Confrontation, Galerie le Minotaure/Galerie Alain Le Gaillard, Paris, 2014. Galerie le Minotaure, Paris, 2013. Carl Strüwe im Kontext Zeitgenossischer Fotografie (Carl Strüwe in the context of Contemporary Photography), Bielefelder Kunstverein, Bielefeld, 2012. 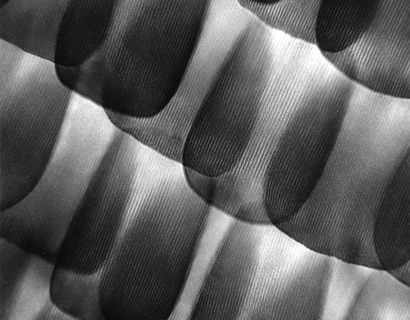 Mikrofotografie – Schönheit jenseit des Sichtbaren, (Microphotography: Beauty beyond the Visible World), Museum fur Fotografie, Berlin, 2010-2011. 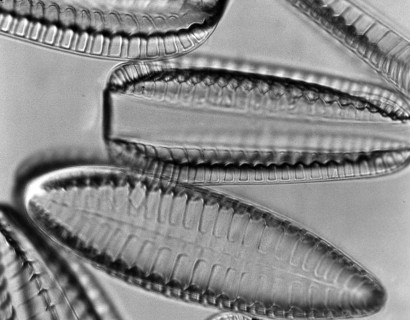 Diatomeen – Formensinn (Diatoms. Sense of Form), Phyletisches Museum, Jena, 2010-2011. Les Années 1930: La Fabrique de L'Homme Nouveau (the 1930s: the Making of ‘The New Man’), Musée des Beaux-Arts du Canada, Montreal, 2008. Fotografia Abstracta (1920-1970), Kowasa Gallery, Barcelona, 2007-2008. Wahr-Zeichen. Fotografie und Wissenschaft (True Sign: Photography and Science), Altana Galerie, Museums of Dresden, 2007. Subjective Photography 1948-1963, The Brno House of Art, Brno, Czech Republic, 2004. Chemie des Kleinsten: Bilder des Unsichtbaren, Galerie f5,6, Munich, 2003. Un Monde Non-Objectif en Photographie (A Non-Objective World in Photography), Galerie Thessa Herold, Paris, 2003. ‘subjektive fotografie’. Der Deutsche Beitrag 1948-1963 (Subjective Photography: The German Contribution 1948-1963), Institut fur Auslandsbeziehungen/Institute for Foreign Cultural Relations, Stuttgart, 1989. Das Foto als Autonomes Bild. Experimentelle Gestaltung 1839-1989 (The Photo as an Autonomous Image, Experimental Design 1839-1989), Kunsthalle, Bielefeld, 1989. Deutsche Lichtbildner. Wegbereiter der zeitgenossischen Photographie (German Photographers. Pioneers of Contemporary Photography), Museum Ludwig Cologne, 1987. Die 1. Generation nach 1945. Kunstler aus Ostwestfalen-Lippe (The First Generation after 1945. Artists from Ostwestfalen-Lippe), Berufsverband Bildender Künstler (Professional Association of Visual Artists), Ravensberger Spinnerei, Bielefeld, 1986. Moderne Kunst alt und neu (Old and New Modern Art), Germanisches Nationalmuseum, Nuremberg, 1956. Junger Westen 54. Malerei Plastik Graphik (Young West 54, Painting Sculpture Graphic), Kunsthalle, Recklinghausen, Germany, 1954. Mostra internazionale dell’union fotografica (International Exhibition of the Union of Photography), Galeria d’Arte Moderna, Milan, Italy, 1954. Deutsche Bilderschau (German Exhibition), (First) Photokina – Internationale Photo- und Kino-Ausstellung (International Photo and Film Exhibition), Cologne, 1954. The New Landscape in Art and Science, Massachusetts Institute of Technology (MIT), Cambridge, USA, 1951. Subjektive Fotografie. Internationale Ausstellung moderner Fotografie. (Subjective Photography: International Exhibition of Modern Photography), German Society of Photography, Belgisches Haus/Belgian House, Cologne, 1951. Subjektive Fotografie. Internationale Ausstellung moderner Fotografie. (Subjective Photography: International Exhibition of Modern Photography), Staatl. Schule für Kunst and Handwerk, Saarbrücken, 1951. Galerie Herbert Herrmann, Stuttgart, June 1947. Deutsches Buchschaffen. Buch und Werbekunst (German Book Making. Book and Advertising Art), Bielefeld, 1947. Bielefelder Kunstler (Artists from Bielefeld), Art Salon of Otto Fischer, Bielefeld, 1946. Carl Strüwe, Spuren der Hohenstaufen. Bilder und Worte (Traces of Hohenstaufen. Pictures and Words), Bielefeld: Jesse (Ed. ), 1986. Carl Strüwe, Formen des Mikrokosmos. Gestalt und Gestaltung einer Bilderwelt (Forms of the Microcosm. Shape and Design of a New Imagery), Munich: Prestel Verlag, 1955. Gottfried Jäger, Mikrofotografie als Obsession. Das fotografische Werk von Carl Strüwe (1898-1988) (Microphotography than Obsession. The Photographic Work of Carl Strüwe (1898-1988)), PhD, publisher of printmaking Hans Gieselmann Bielefeld, Bielefeld Universität, 2011. Gottfried Jäger, Carl Strüwe. Das fotografische Werk 1924-1962 (Carl Strüwe. The Photographic Work 1924-1962), Kunsthistorisches Museum Waldhof (Cat. ), Dusseldorf/Bielefeld: Marzona (Ed. ), 1982. Jutta Hülsewig-Johnen, Gottfried Jäger and Thomas Thiel (Ed. ), Carl Strüwe: Reisen in unbekannte Welten (Carl Strüwe: Journey into Unknown Worlds) (Cat. ), Munich: Hirmer Verlag, 2012. Carl Strüwe, Travel to Unknown Worlds, Kunsthalle Bielefeld (Cat. ), 2012. Carl Strüwe, Forms the Microcosm, Retrospective, Museum of Cultural History Bielefeld (Cat. ), 1982. Carl Strüwe and Manfred Kage. Photomicrographs, Werkkunstschule Bielefeld (Cat. ), 1966. Gottfried Jager, “Die Mikrofotografie als bildnerisches Mittel. Zu einer Austellung der Arbeiten von Carl Struwe und Manfred Kage in der Werkkunstschule Bielefeld vom 15. bis 30. April 1966”, in Foto Prisma, Dusseldorf, 17, Nr. 6, 1966, p. 294-296. It: “Wunderwelt ungeahnten Formenreichtums. Mikrofotografie hilft, sie zu erschließen”, VDAV-Fotoschau in Bielefeld, zu Carl Strüwe, Foto des Künstlers, in Westfalen-Blatt, May, 24th, 1958. Franz Roh, “Formen des Mikrokosmos” (Forms of the Microcosm), in Die Kunst, Munich, June 1957, unpaged. m.: “Welt der kleinen Wunder gewinnt Gestalt. Kunstwerke durch das Mikroskop fotografiert. Besuch beim “photokina”- Preisträger Carl Strüwe” in Westfälische Zeitung, Nr. 81, March 6th, 1954. Arthur Gewehr, “Gestaltende Mikrofotografie. Carl Strüwe und seine Arbeiten” (Decorative Microphotography. Carl Strüwe and his work), in Photo-Prisma, 1950, p. 312. H: “Unsichtbare Natur sichtbar gemacht. Die deutsche Mikrophotographie und ihr Meister”, Report on Bericht zur Photo-Kino-Ausstellung Köln (photokina), 1950. Alfred Richard Meyer: “Zur Ausstellung Carl Strüwe, Formen des Mikrokosmos, Lübeck, 1948” (The Exhibition Carl Strüwe, Forms of the Microcosm, Lübeck, 1948), in die maer von der musa expressionistica, Dusseldorf, 1948. Dr. Reissmann, “Mikro-Wunderwerke. Mikro-Aufnahmen von Carl Strüwe”, in DND Karlsruhe, Nr. 19/20, 1947, p. 18-19. Hanns Theodor Flemming, “Formen des Mikrokosmos”, in Der Tagesspiegel, Berlin, 1947. Hanns Theodor Flemming, “Formen des Mikrokosmos”, on the Radio Program Blick in die Kunstwelt. Radio Hamburg, 11.03.1947. Carl Georg Heise, “Natur und Kunstform. Zum Problem der Mikrofotografie” (Nature and Art Form. On The Problem of Micro-Photography), in Die Zeit, Hamburg, March 6th, 1947, p. 4-5. Carl Georg Heise, “Über Carl Strüwe” (About Carl Strüwe), in Allgemeine Zeitung, Aachen 1947. J.F. : “Carl Strüwe, Formen des Mikrokosmos”, in Siebenbürgische Zeitung, October, 15th, 1963. Horst W. Staubach: “Carl Strüwe, Formen des Mikrokosmos”, in Photo Presse, April 19th, 1957. F. (Franz) Roh: “Carl Strüwe, Formen des Mikrokosmos”, in WERK (Winterthur, CH): Nr. 2, 1957. Anon. : “Abendzeitung” München, mit einer Abb., 17th December, 1956, p. 9. Hans Spatz: “Carl Strüwe, Formen des Mikrokosmos”, in Münchner Medizinische Wochenschrift, Nr. 51, 1956. Dr. J. Stadlmann: “Carl Strüwe, Formen des Mikrokosmos”, in Der österreichische Mittelschullehrer, Nr. 7/8, 1956. Anon. : “Carl Strüwe, Formen des Mikrokosmos”, in ORION-Zeitschrift für Natur und Technik, Murnau, Nr. 21/22, 1956.
d.v.s. (Kürzel): Ons Hus (Utrecht, NL), with six pictures, July 1956, p. 1051-1059.
gr. (Kürzel): Freie Presse, Bielefeld, with one picture, June 13th, 1956. Anon. : “Carl Strüwe, Formen des Mikrokosmos”, in Schrift und Handwerk, Nr. 6, 1956. Anon. : “Carl Strüwe, Formen des Mikrokosmos”, in Foto-Prisma, Nr. 6, 1956. J.S. : “Karl Strüwe (sic), Formen des Mikrokosmos”, in DFW Zeitschrift für Archive, Fachbibliotheken…, Nr. 5/6, 1956. Dr. H. St. (Horst Staubach): “Geheimnisvolle Pflanzenwelt. Mit vier Mikrofotografien von Carl Strüwe”, in Die Freie Stunde, Nr. 4, 1956, p. 6-7. Helmut Schüller: “Carl Strüwe, Formen des Mikrokosmos” in Bücherei und Bildung, Nr. 5, 1956, p. 374. Helmut Schüller: “Carl Strüwe, Formen des Mikrokosmos” in Buchanzeiger für Öffentliche Büchereien, Reutlingen, April, 1956. -y- (Kürzel): “Formen des Mikrokosmos”, in Tagesanzeiger für Stadt und Kanton, Zürich, April 21, 1956. Paul Löchler: “Das Kreuz in der Träne. Gottes Weltordnung offenbart sich auch im Mikrokosmos”, in Der Pfälzer, mit einer Abb., April 13th, 1956, p. 7. Anon. : Die Barke, Heft 4, 1956, with one picture, p. 26. G.A. Canaval: “Neue Welten des Mikrokosmos”, with three pictures, in Salzburger Nachrichten, Rubrik Gesprächsthemen, March 24th, 1956, p. 11, 20. E.H. (Eberhard Hölscher): Gebrauchsgraphik, April 1956. Anon. : “Mikrokosmos–Urgrund des Lebens”, with two pictures, in Nürnberger Nachrichten, April 10th, 1956. Anon. : Frankfurter Allgemeine Zeitung, with one picture, February 18th, 1956. Fritz Landwehr, in Das Kunstwerk, Nr. X/1,2, 1956, p. 107-108. Fritz Landwehr: “Fotopionier in zauberischen Welten. Zu einem erstaunlichen Bildband von Carl Strüwe”, with one picture, in Schwäbische Post Aalen, February 15th, 1956.
m. (Kürzel): “Formen des Mikrokosmos. Zu einem Werk des Bielefelders Carl Strüwe”, in Westfälische Zeitung, February 9th, 1956. P. (Kürzel): “Carl Strüwe, Formen des Mikrokosmos”, in Kunst und Jugend, Frankfurt, January 1956. Anon. : Die Zeit, Nr. 3, 1956, with one picture., p. 6. Hue. (Kürzel): Landes-Kriminalblatt Niedersachsen, January 20th, 1956. Anon. : Südkurier, December 17th, 1956. V. (Kürzel): “Wunder der Kleinwelt. Zu Carl Strüwe, Formen des Mikrokosmos”, in Kasseler Post, December 10/11th, 1955, Frontpage. Neue Deutsche Biographie (NDB), Bayerische Akademie der Wissenschaften, München, 2010. Hans-Michael Koetzle: Lexikon der Fotografen 1900 bis heute. München, 2002, p. 450. Reinhold Mißelbeck (Ed. ): Prestel-Lexikon der Fotografen. Von den Anfängen 1839 bis zur Gegenwart. München, 2002, p. 231. Carl Strüwe: “Zwei Mikrofotografien” (WVZ 1-065: Forms of Movement and Structure/Kapillargefasse; WVZ 1-092: Prototype of Individuality (Single Cells of Diatoms)/ Urbild der Individualitat), in Ann Thomas: Modernist Photography from the National Gallery of Canada, Cat., 2007, Picture 70. Carl Strüwe: Mikrofotografie (WVZ-1001: Weiss über Grau schwebend), in Gottfried Jäger, Rolf H. Krauss, Beate Reese: Concrete Photography/Konkrete Fotografie, Bielefeld, 2005, S. 30. Carl Strüwe: Drei Mikrofotografien in Thomas Kellein, Angela Lampe (Hg. ): Abstrakte Fotografie. Ausst.kat. Kunsthalle Bielefeld 2000, p. 175, 176, 182. Carl Strüwe: Zwei Mikrofotografen (WVZ 1-054: Dreicksformen; Humoreske im Wassertropfen), in Gottfried Jager: Fotoästhetik. Zur Theorie der Fotografie, Munich, 1991, p. 22, 26. Carl Strüwe: Mikrofotografie, in Herbert W. Franke, Gottfried Jager: Apparative Kunst. Vom Kaleidoskop zum Computer, Cologne, 1973, p. 21. Carl Strüwe: Zwei Mikrofotografen in Gegenüberstellung von: Serge Poliakoff, Composition au fond vert, o.D, und Max Bill, Rhythmus im Raum, 1947/48, in Georg Schmidt, Robert Schenk: Kunst und Naturform, Basilius Presse, Basel, 1960, p. 82-112. Carl Strüwe: “Microcosmos. De wereld der figuren en zinnebeelden”, in Streven. Maandblad voor geestesleven en cultuur, Amsterdam/Leuven, XII, 1959, p. 358-363. 8 microphotographs and text in graphis, Zurich 1959. 11 microphotographs, in Simpson/Pittendrigh/Tiffany: Life. An Introduction to Biology, Harcourt, Brace Comp., New York, 1957. Carl Strüwe: “Mikrofotografie – dokumentarisch und expressiv”, with three microphotographs, in Foto Prisma, Dusseldorf, Nr. 7, 1956, p. 356-358. 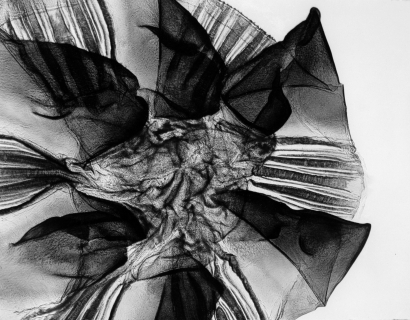 Carl Strüwe: four microphotographs, in Gyorgy Kepes: The New Landscape in Art and Science. Chicago: Paul Theobald and Co., 1956, Bilder 116, 87, 102, 327. Carl Strüwe: “mikro-kosmos. 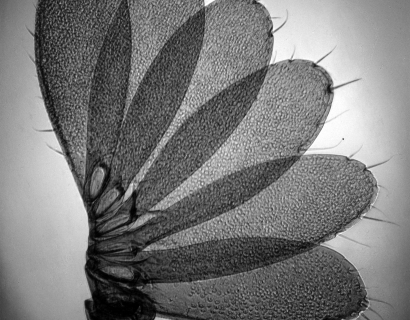 Neue Aufgaben der Mikrophotographie”, with seventeen microphotographs, in graphis, Zurich, Nr. 65, 1956, p. 242-249. Carl Strüwe: “Kuchenwunder”, with seven microphotographs, in Deutscher Sparkassenverlag, Stuttgart, 1956. Carl Strüwe: “Anker und Antenne. Wunder der Kleintierwelt”, with six microphotographs, in Heim und Werk, Nr. 9, 1956, p. 8-9. Carl Strüwe: “Bemerkungen zur Mikrofotografie”, with three microphotographs, in Blätter des Biefelder Jugenkulturringes, Nr. 44, 1954, p. 191-194. Two microphotographs in Fotografia Astrata e Microfotografica, Cat. for an exhibition of Carl Strüwe and Pim Van Os. L’Unione Fotografica, Mailand, 1951. In US Camera Annual, 1951. Seven microphotographs in Dr. Reissmann, “Mikrowelt-Wunderwelt”, in DND (Karlsruhe), Nr. 19/20, 1947, p. 18-19. In Deutsches Buchschaffen, Bielefeld, 1947. “Microphotographie d’un fragment de mousse marine d’Australie. Photo Care Strüwe (sic), Bielefeld, Allemagne“ (p. 9), with two other microphotographs (p. 61), in Arts et Métiers Graphiques, Heft Photographie, Paris, 1938. Carl Strüwe: “Vom Zauber der Vergrösserung. Mikroaufnahmen eines Bielefelder Lichtbildners” with two microphotographs, in Bielefelder Stadtanzeiger/Westfälische Neueste Nachrichten, 1937. 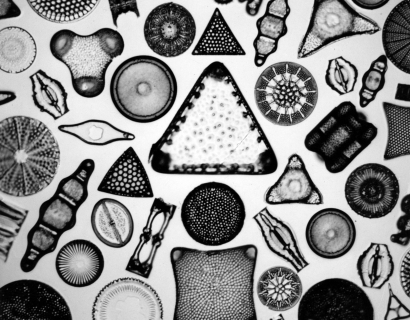 Carl Strüwe: “Unter dem Auge des Mikroskops”, with six microphotographs, in Atlantis, Berlin/Zurich, 1937, p. 113-118. Carl Strüwe: microphotographs in the annual publication Das Deutsche Lichtbild, Berlin, 1936 (p. 114), 1937 (p. 54, 55), 1938 (p. 203). 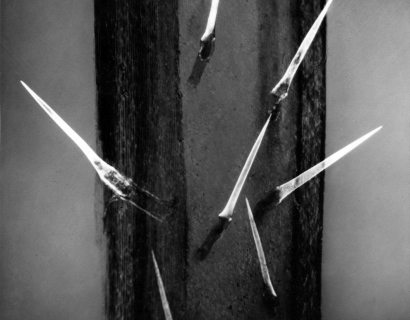 Carl Strüwe: ”Das neue Mikrofoto”, with five microphotographs, in Gebrauschfotografie, 1935. Carl Strüwe: “Die Oase El Wed”, in Atlantis, Berlin/Zurich, 1935, p. 342-344. Carl Strüwe: “Oase El Wed. Bildbericht”, in Berliner Tageblatt, 1934. Carl Strüwe: “Unter dem Auge des Mikroskops”, in Atlantis, Berlin/Zurich, 1934. Karl Strüwe (sic): “Ein Lied aus Tirol. Reisebericht”, in Reise-Kurier, Beilage Hannoverscher Kurier, 1927. Cultural Prize from the City of Bielefeld, 1986. Deutsche Gesellschaft für Photographie (DGPh) 1951-1970.